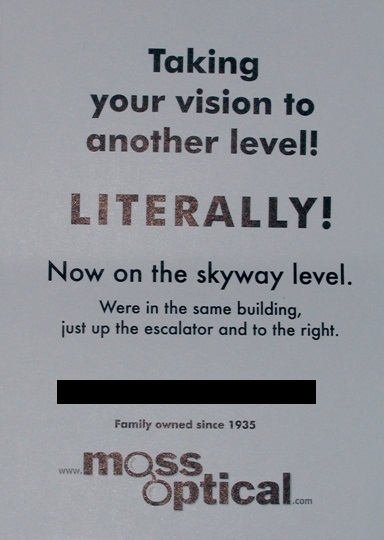 I was just thinking that we hadn’t had an abuse of the word “literally” in literally an age. So thank you, Dave! Congresswoman Ros-Lehtinen has not been spotted on horseback, counting coup on Democrats, as the text might have you believe. I’d add that “them” is not the pronoun in agreement with “representative,” but I know there are some factions of my readers who would disagree with that assertion.